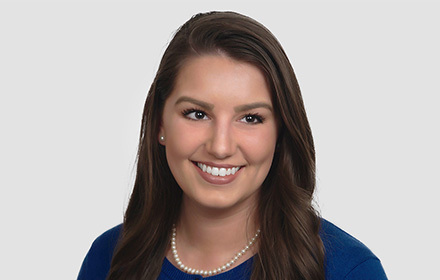 Caitlin M. Goforth is an Associate in the Raleigh, North Carolina, office of Jackson Lewis P.C. Her practice focuses on representing employers in workplace law matters, including preventive advice and counsel. Ms. Goforth represents employers in litigation under all federal and state employment laws, including cases involving harassment, discrimination, retaliation, and wage and hour issues. She also represents employers in proceedings before administrative agencies such as the Equal Employment Opportunity Commission, the United States Department of Labor, the North Carolina Department of Labor, and the North Carolina Division of Employment Security. Before joining Jackson Lewis, Ms. Goforth was an associate in the labor and employment group at one of North Carolina’s largest law firms. While attending law school, she was the Symposium Editor of the Campbell Law Review and served as a judicial extern for Justice Paul M. Newby of the Supreme Court of North Carolina and Federal Administrative Law Judge Bruce T. Smith with the Department of Homeland Security. As an undergraduate, Ms. Goforth was the President of the Carolina Athletic Association and was presented with the E. Eugene Jackson Chancellor’s Award by the University of North Carolina.